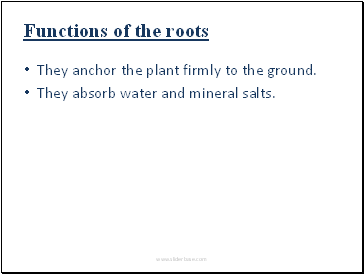 They anchor the plant firmly to the ground. They absorb water and mineral salts. 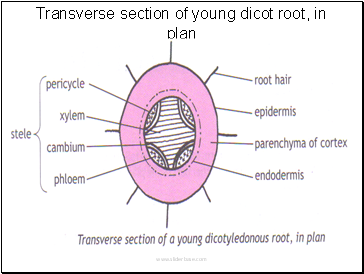 Root cap is made up of parenchyma cells. 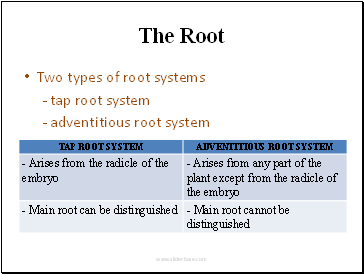 It protects the inner layers of the root. The growing point is made up of meristematic cells. Some of the new cells produced replace the parenchyma cells of the root cap which were damaged. Region of elongation – the cells comes from the growing point which begin to elongate. 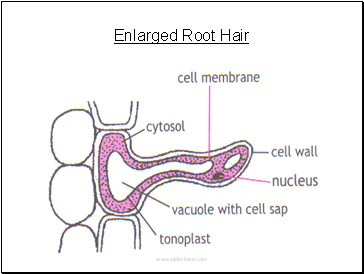 The root hair region has root hairs, which absorb water and mineral salts. 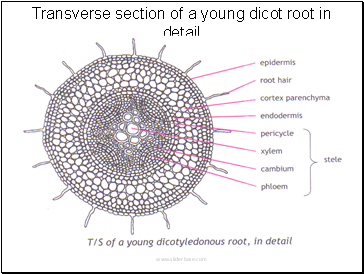 Mature region has side roots and fully differentiated tissues.
. 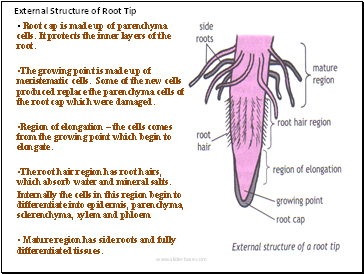 The root hairs of the epidermis absorb water and mineral salts. The passage cells of the endodermis direct water into the xylem of the stele. 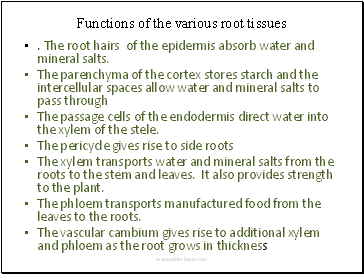 The xylem transports water and mineral salts from the roots to the stem and leaves. 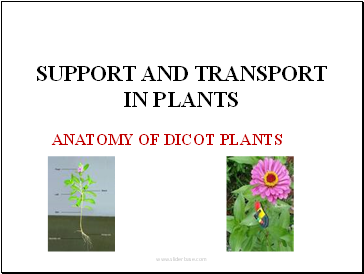 It also provides strength to the plant. The phloem transports manufactured food from the leaves to the roots. They hold the leaves in a favourable position to receive light for photosynthesis. They hold the flowers in a favourable position for pollination. 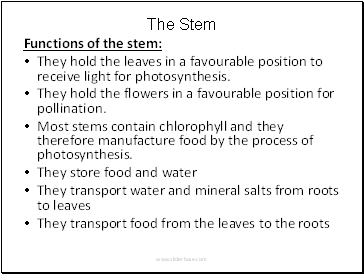 Most stems contain chlorophyll and they therefore manufacture food by the process of photosynthesis.